 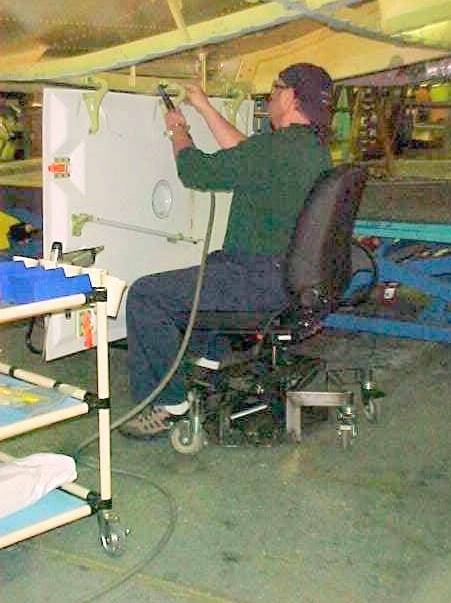 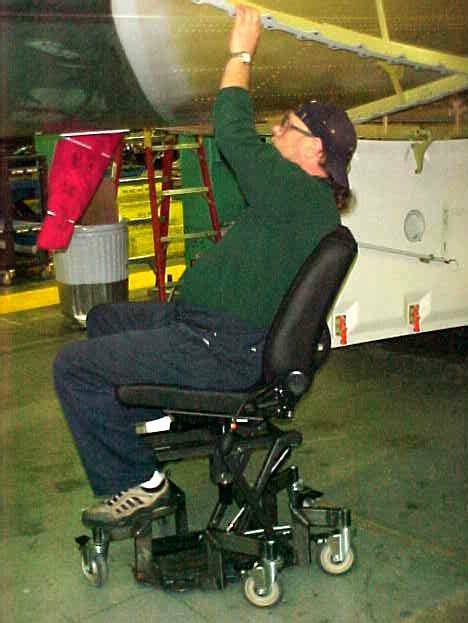 Manufacturing Ergonomics | EXTREME ERGONOMICS INC.
Back pain flared during specific high and low working positions while using an old office chair. 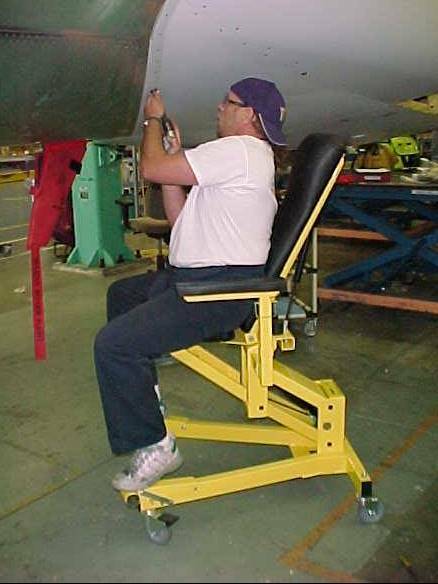 Off-the-shelf elevating work chairs were trialed for proper support and effectiveness but proved unsuccessful. 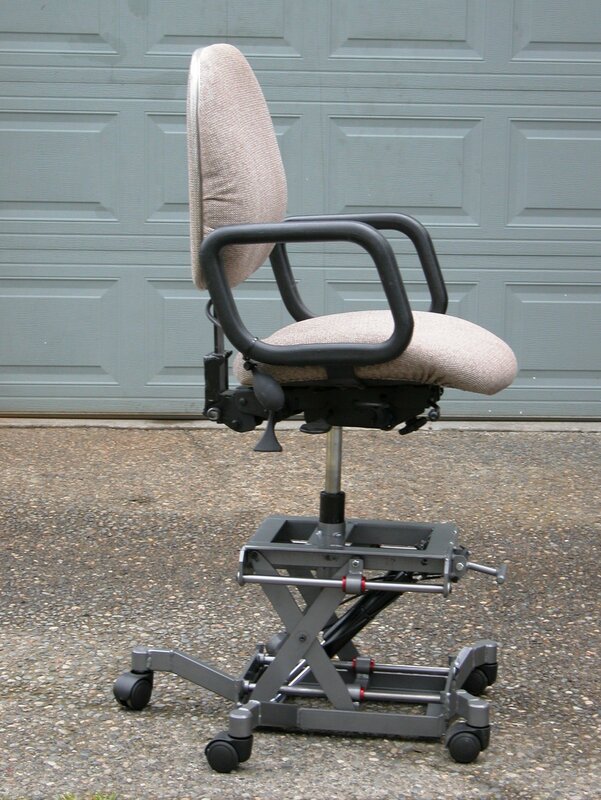 Significant time off work resulted as assembly tasks triggered ongoing pain from herniated disk and back strain. 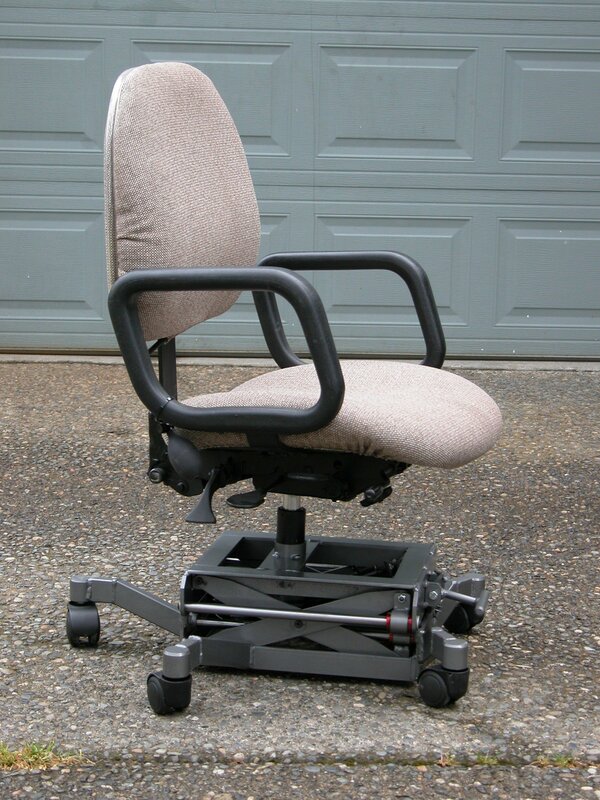 Custom highly adjustable assembly chair with 16” to 29” adjustable height capability provided critical back support enabling high and low-level assembly tasks. 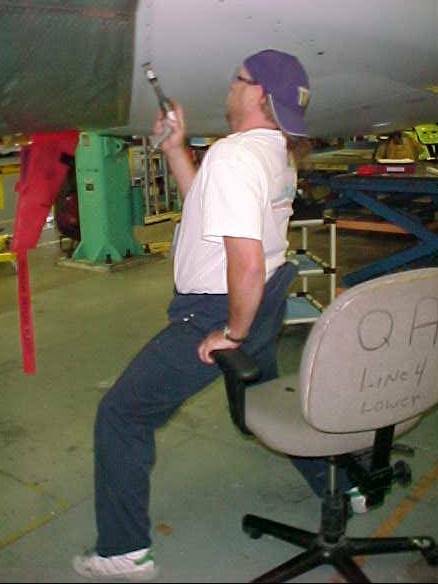 The custom chair enabled full-time return-to-work with performance improvement of all low-level and high-level assembly tasks. 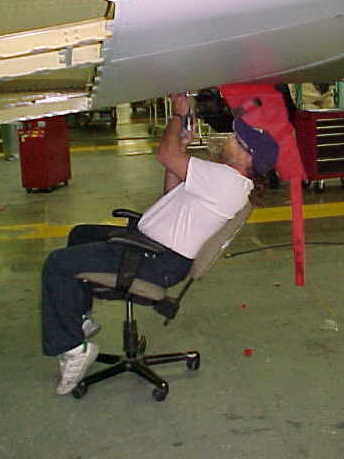 Appropriate upper and lower back support with good stability accomplished in addition to reducing safety concerns.